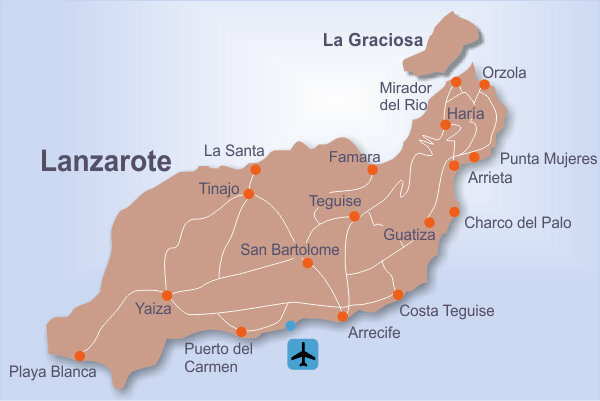 The Lorange apartments are located in a small building directly on the coast, between the villages of Arrieta and Punta Mujeres in northern Lanzarote. From the balconies and in part also from the living rooms of the apartments, one has a very beautiful view of the ocean, which lies only a few meters from the front doors. Inside these apartments there are 2 bedrooms, which means that they can accommodate up to 4 persons each. In addition, they have a very large living room, into which the kitchen is integrated in an open way. The furnishings consist of simple but solid wooden furniture. 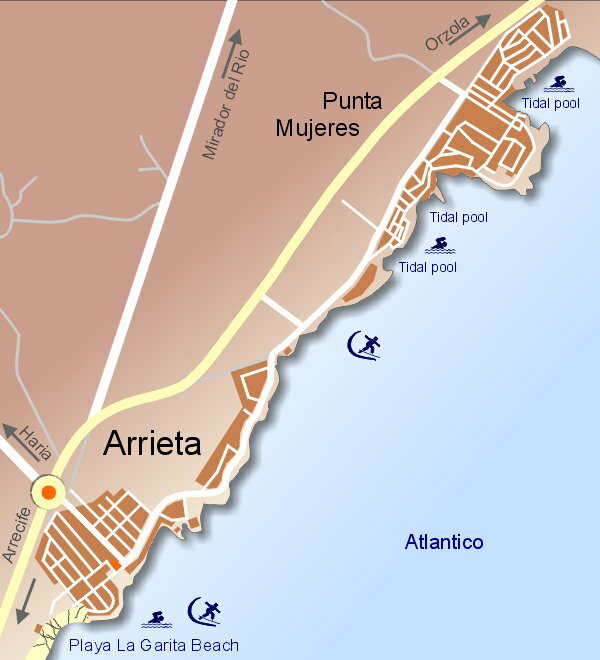 There is a bathing area directly in front of the apartments, but it is rather rocky, so we would recommend using either Arrieta’s gorgeous sandy beach La Garita (10 minutes on foot), or else the fantastic natural swimming pools in Punta Mujeres, which empty and fill with every ebb and flow, and aer located at about the same distance from the apartments. There is a restaurant directly in the vicinity and a small supermarket about 900 meters away. final cleaning 1 daily rent. The prices mentioned apply per night for 2 persons, any further person costs 5,- Euro per night in addition. 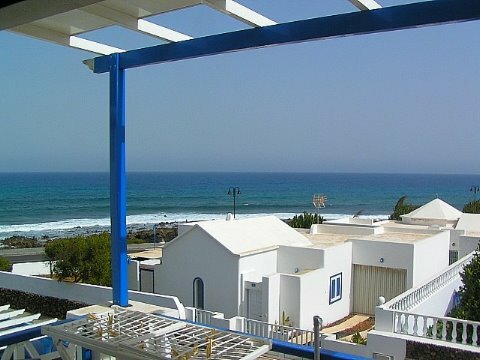 May be you are also interested in the following altenatives: Apartments Famara, Maribel Famara, Apartments Mar y Sol (Arrieta).